Singapore Airlines' PPS Club sits above the Star alliance member's better-known KrisFlyer loyalty program as a scheme that rewards the airline's highest-spending high flyers. In exchange for continued loyalty, travellers get Priority Passenger Service (hence the name ‘PPS’) and a raft of benefits you won’t find in the KrisFlyer program. Because PPS Club is based on your spending while KrisFlyer elite status is based on your miles flown, it's possible to gain PPS Club membership without having KrisFlyer Elite Gold status (and with a PPS card in your travel wallet, KrisFlyer Elite Gold status becomes irrelevant). The requirements for reaching PPS Club status are fairly straightforward – accumulate 25,000 in 'PPS Value' within 12 consecutive months and you'll be welcomed to the PPS fold with open arms. PPS Value is calculated from the cash value of any paid business and first class flights on Singapore Airlines and SilkAir, minus airport taxes and converted to Singaporean Dollars. For example, the following Sydney to Singapore business class ticket would earn roughly 2,900 in PPS Value, based on the conversion of the A$3030 fare to S$2900 at current rates. Flights on partner airlines, bookings in economy or premium economy, and any portions of fares paid for with KrisFlyer miles are strictly ineligible. To keep PPS membership, you’ll need to continue earning 25,000 in PPS Value every year. Any extra value you earn above 25,000 will carry over to the next year's requalification and be used first. For example, if you earn 40,000 PPS Value in your second year of membership, 25,000 will be used to requalify and 15,000 will be put in reserve. In your third year of membership, the 15,000 reserve value will be used up first, so you only have to earn another 10,000 in new PPS Value to keep your membership for the fourth year. To reach Solitaire PPS, the top-tier membership available with Singapore Airlines, you’ll have to rack up 50,000 in PPS Value in every 12-month period – essentially double the requirements for PPS Club. The PPS Value, reserve system and eligible flights are identical to the requirements explained above. As PPS Club is a step-up from the highest KrisFlyer tier, Elite Gold, the lounge access arrangements are more favourable as well. 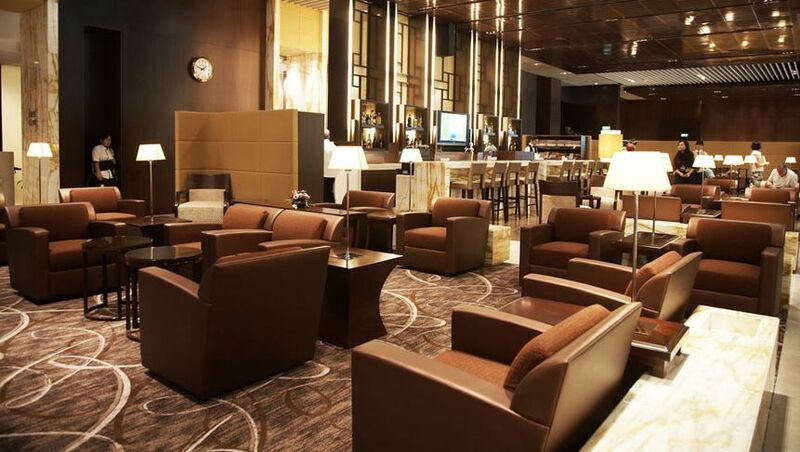 When departing Singapore on flights operated by Singapore Airlines or SilkAir, the superior SilverKris business class lounges are open, as well as Singapore Airlines' other SilverKris lounges worldwide. Star Alliance Gold membership is thrown in too, so PPS Club members can access any of the 1,000 partner lounges globally when travelling on a member airline. However, when departing Singapore in premium economy or economy on a Star Alliance flight not operated by Singapore Airlines, only the more basic KrisFlyer Gold Lounge is available, rather than the usual SilverKris business class lounge. PPS Club members also gain access to Virgin Australia lounges (+1 guest), Virgin Atlantic Clubhouses (no guest) and Vistara lounges (+1 guest) when flying with the respective airlines. In addition to the above, Solitaire PPS members gain access to the first class section of the SilverKris lounge whenever departing on a flight operated by Singapore Airlines or SilkAir. The Private Room remains out of reach as it’s only for first class and Suites Class passengers, regardless of status. The Star Alliance Gold rules continue to apply whenever the member is not flying with Singapore Airlines. Excess baggage is no problem at all, with PPS Club and Solitaire PPS members essentially getting a doubled baggage allowance on Singapore Airlines and SilkAir. That’s an extra 30kg in economy, 35kg in premium economy, 40kg in business class and 50kg in first class. On most Virgin Australia flights, you can bring an extra two bags of 23kg each in economy, or 32kg each in business class and premium economy. Vistara gives 10kg extra for any destination while Virgin Atlantic offers an extra checked bag up to 23kg. Travelling on any other Star Alliance airline, you’ll receive 20kg extra baggage for most flights, or one extra piece on flights to/from North and South America. 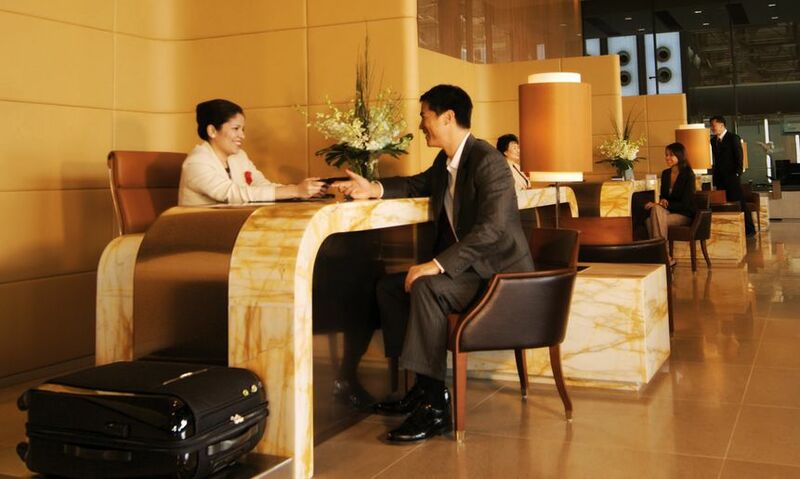 Many of the benefits are carried over from KrisFlyer Elite Gold status and Star Alliance Gold status, including priority check-in/screening/boarding and baggage delivery. Travellers will earn 25% more KrisFlyer miles on eligible flights, valid for most booking classes except the lowest economy fares. KrisFlyer miles will never expire while you remain in PPS Club, but are given a life of three years if you lose your PPS membership. When travelling in economy or premium economy, you can select any seat free of charge including extra-legroom seats. Accompanying friends and family can choose any seat in the Forward Zone without charge, but not extra-legroom seats. Other benefits include a dedicated PPS Club coordinator, a renewal gift each year, overseas emergency medical travel insurance and worldwide emergency assistance through AXA Assistance. Finally, PPS Connect means you can simply text your PPS member number to +65 9184 8888 or through the Singapore Airlines app to get a PPS Club coordinator to call you back as soon as possible, rather than waiting on hold. Hit 50,000 in PPS Value over a year and Solitaire status is yours along with a few more benefits. First up, a supplementary Solitaire PPS card is yours to give away, offering the lucky recipient many of the same perks as PPS Club, but with first class lounge access as a bonus. Whenever you fly Singapore Airlines or SilkAir, you can breeze through the dedicated first class check-in and immigration facilities at T2 and T3 of Singapore Changi Airport. On-arrivals access is granted to the Plaza Premium Lounge in London after flights SQ306 or SQ322 but without any guests. You’ll also be the highest in the pecking order when booked on a waitlisted flight, and have priority access when it comes to booking saver-level reward flights using KrisFlyer miles. Rounding up the package are extra rewards for members once they hit certain thresholds. At 30,000 PPS Value, you’ll get two Double KrisFlyer Miles rewards which double your haul of KrisFlyer miles on two flight sectors of your choice. At 40,000 PPS Value, you'll get a discount of 50,000 KrisFlyer miles towards your next upgrade or flight redemption booking. For Solitaire PPS members who reach 60,000, 75,000 and 100,000 in PPS Value, one Advance Upgrade voucher will be given at each level. 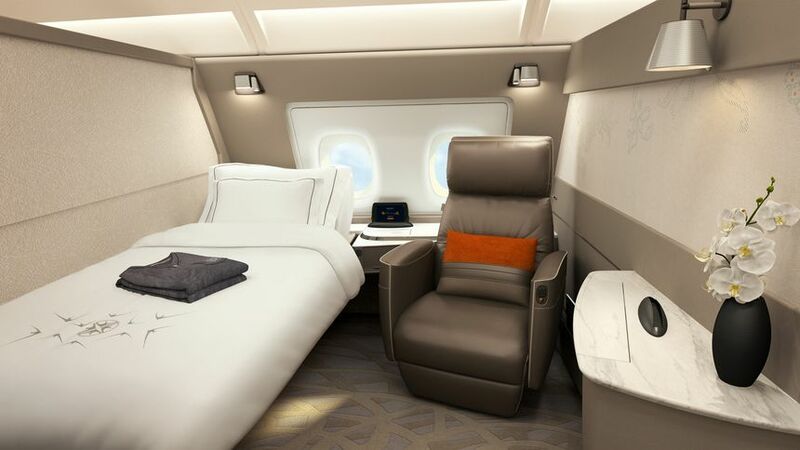 These entitle the holder to get a one-class upgrade on any Singapore Airlines or SilkAir flight, confirmed at the time of booking but subject to availability. It can’t be used on Economy Lite (Q, N, V, K), Premium Economy Lite (R) or Business Lite (D) fares. All PPS Club members are also members of KrisFlyer can continue to earn KrisFlyer miles, Elite miles and PPS Value from the same flights. It's also possible to build PPS Value even when your flights are being credited to a separate partner frequent flyer account, such as Virgin Australia Velocity, which means you can earn Velocity points, plus Velocity status credits, and also PPS Value, from a single flight. Brandon divides his time between Perth and Launceston, with ample hours spent in airport lounges in between. He recently picked up photography and tries to capture the beauty of Tasmanian landscapes, aeroplane cabins and in-flight food, to varying degrees of success. A very good summary of the PPS program. I would add that if you only travel business or first, the "perks" are largely irrelevant, apart from the SGD 280 you get on renewal of PPS. Agreed! There is actually another undocumented benefit of PPS though: there is almost always no waitlisting for award seats. If you select an award seat shiown as "waitlisted", it is usually confirmed immediately, unless the cabin is full or nearly so. I’ve been PPS for years and this isn’t the case for me. Same! I dont think PPS status has any real impact on waitlists unless you are able to get one of the PPS staff to really push on your behalf. I can only comment that it has certainly happened for me, as recently as last December:I tried making a booking for Dec 12/18 about 3 weeks ahead, 4/4 sectors were showing as waitlisted, but all were confirmed instantly. Does one accumulate PPS Club points only on first and business class ticket purchases? What about premium economy? Another PPS benefit not mentioned here: you can pre-allocate the front-row seats in Business, which have much more room in most cases; these seats are blocked for other pax. Thank you Brandon, for explaining something which has puzzled me. A tip from Ausbt that has proven very useful (and mentioned at the end of this article) is that when booking an SQ flight use your VA membership. You get PPS points AND VA status points (and miles) so you get to VA Gold very easily with a couple of flights to Europe. Comment on "Singapore Airlines PPS Club and Solitaire: the unofficial guide"